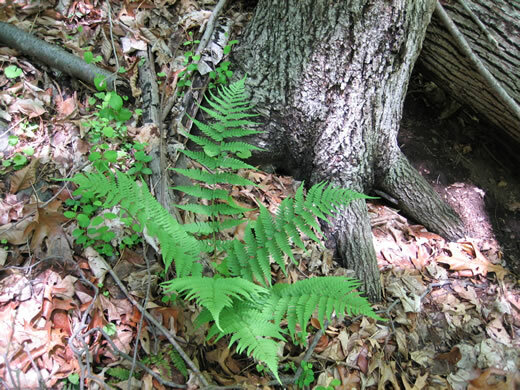 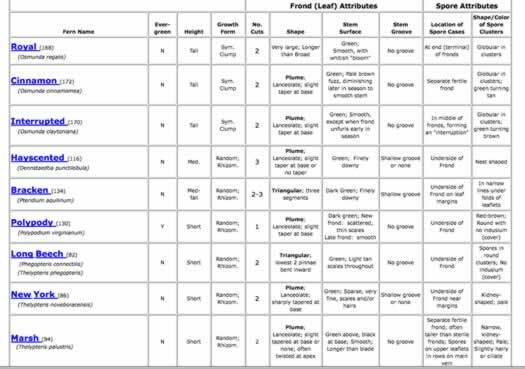 Easily IDed by untoothed margin, marginal sori, and evergreen habit, per Peterson Field Guide to Ferns of Northeastern and Central North America. 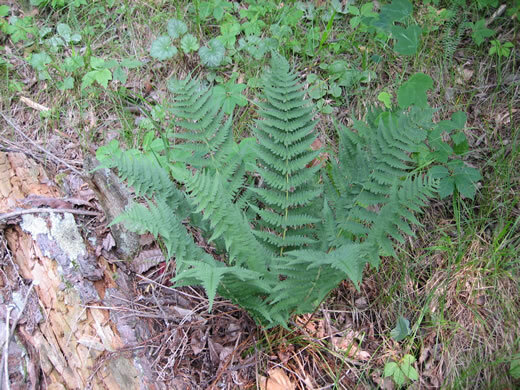 Grows in scattered individual clumps among roots and rocks, per Peterson Field Guide to Ferns of Northeastern and Central North America. 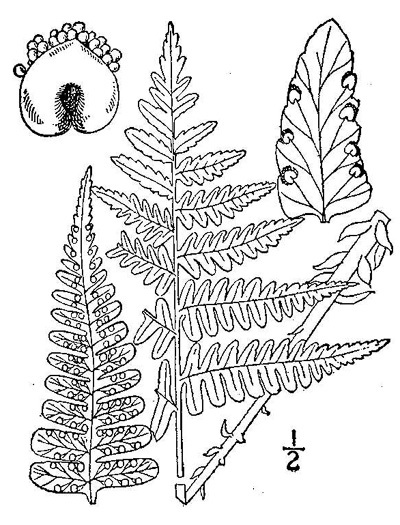 Sori marginal, per Field Guide to the Ferns and Other Pteridophytes of Georgia. 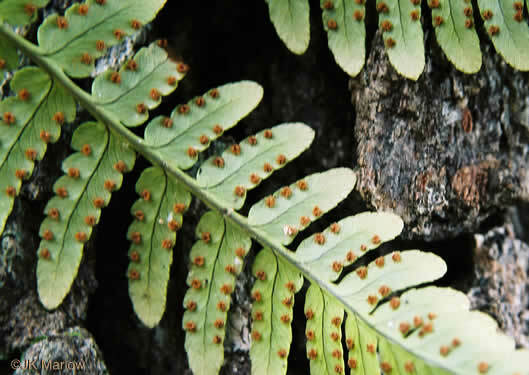 Indusia peltate, kidney-shaped, prominent, per Field Guide to the Ferns and Other Pteridophytes of Georgia. 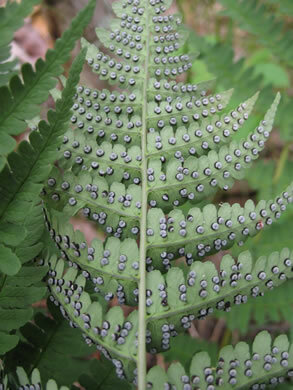 Stipe has many pale brown scales, especially at base, per Field Guide to the Ferns and Other Pteridophytes of Georgia. 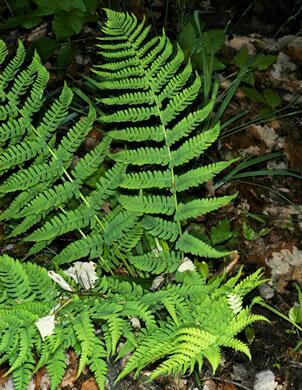 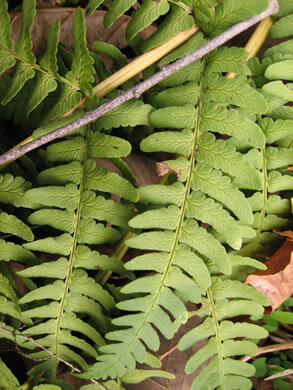 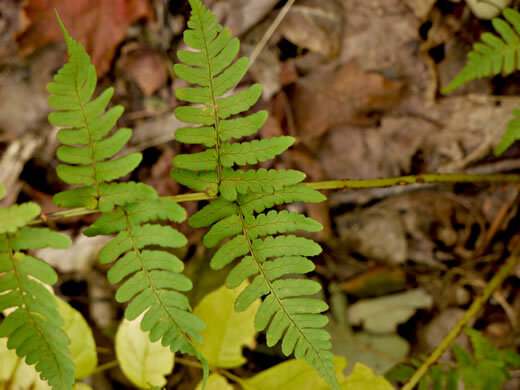 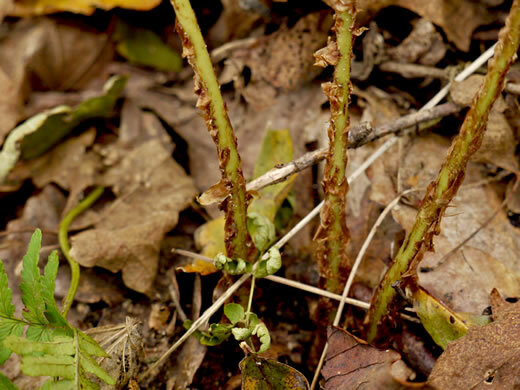 Round sori with smooth reniform indusia are close to the leaf margins, per Ferns of the Smokies. 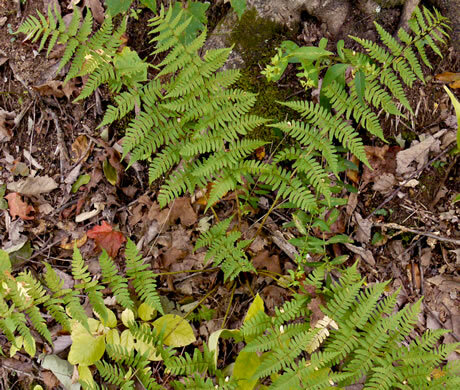 Inner lower pinnule usually longer than adjacent ones on same side of costa, per Peterson Field Guide to Ferns of Northeastern and Central North America. 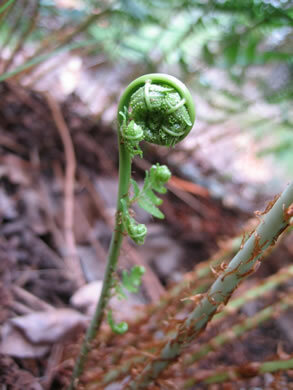 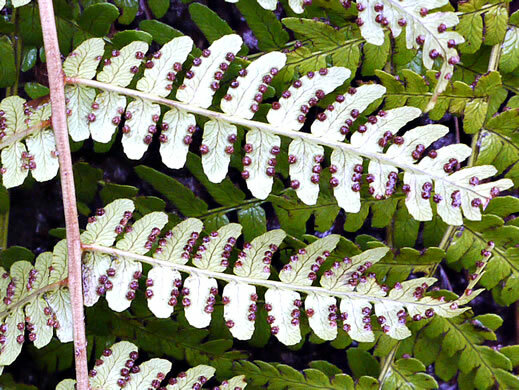 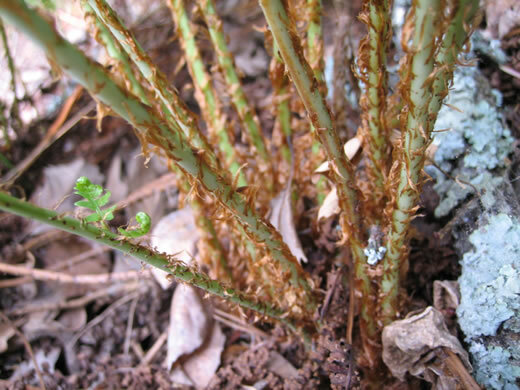 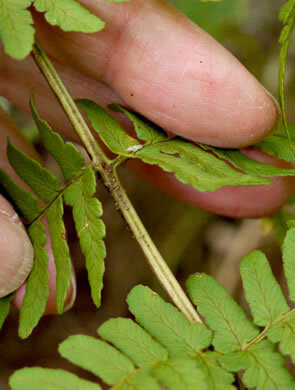 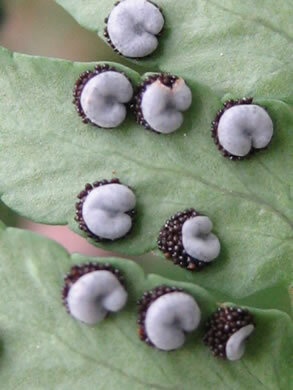 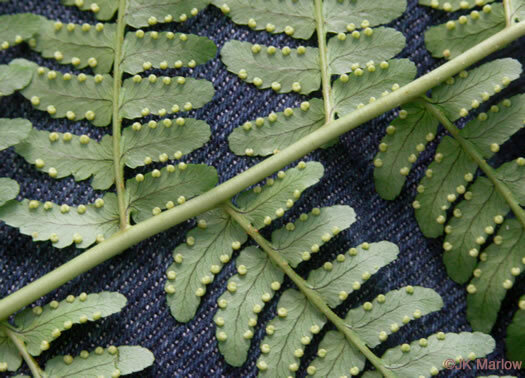 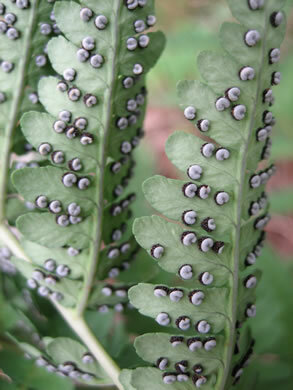 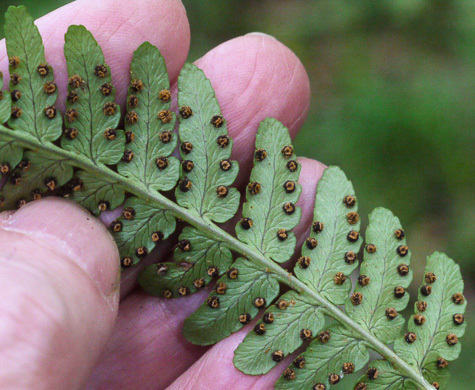 In Dryopteris the rachis groove is open to receive rachillae grooves, per Flora of Taiwan. 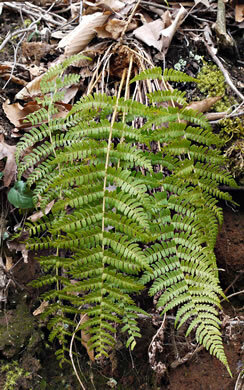 Sori near the margins; prominent; dark brown when ripe, per Peterson Field Guide to Ferns of Northeastern and Central North America. 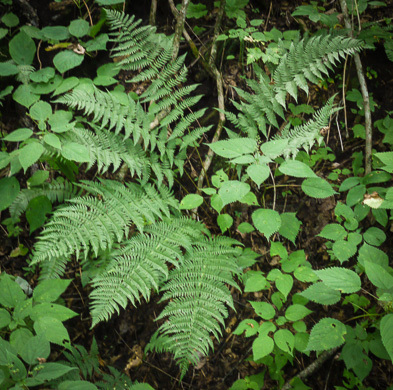 Blade oblong, ascending and arching, leathery and evergreen, per Peterson Field Guide to Ferns of Northeastern and Central North America.